When I am trying for an alternative black, I turn to navy blue...with black accessories. 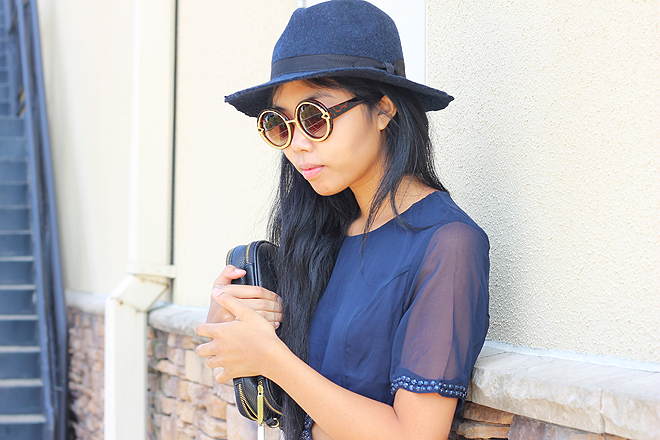 I was pretty navy'd out with the dress, hat, and booties. These booties are actually navy! They just appear somewhat black.